Just how the hell did they do all this? If you have read Dr Dzul (here) he did not show the Right Part of the Diagram above. Pakcik lupe ke? If you've been following Little Lost Chua Vs Tony Pua Vs Rafizi you would probably rasa pening kepala naik malas. So to cut long story short. SIC after getting the money from MBI paid CIMB deal done....tutup cita that part. 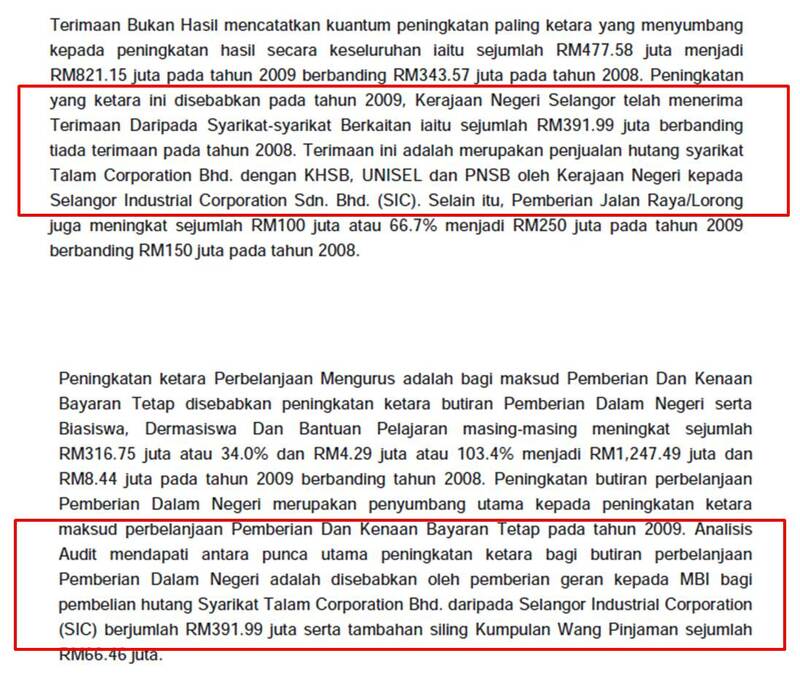 Dia siap bagi lebih sikit dari actual Debt Value by 30,514,000 , this is the confusion by Chua (here) go back to the first Table above to know how this value is derived. 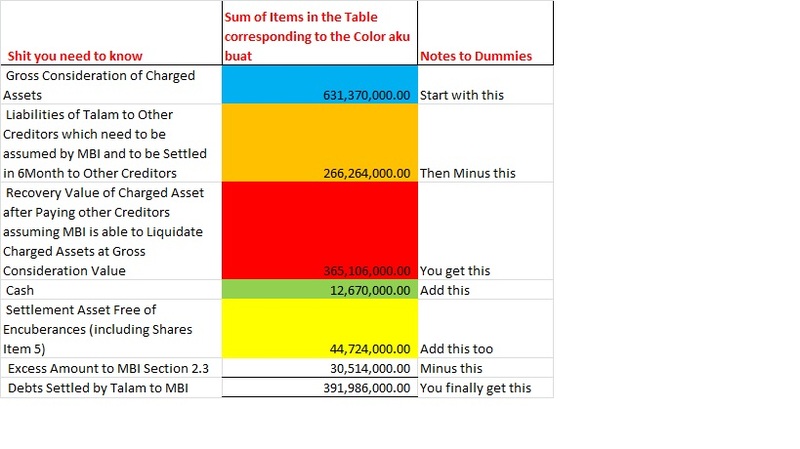 The big assumption here is that MBI is able to liquidate the Assets in Blue Color at the Gross Consideration Value. 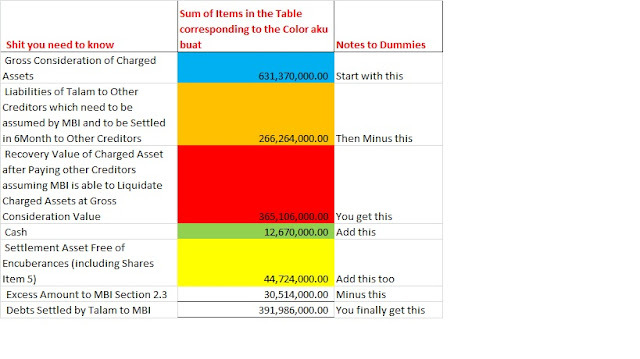 What happens if it can't get that value? 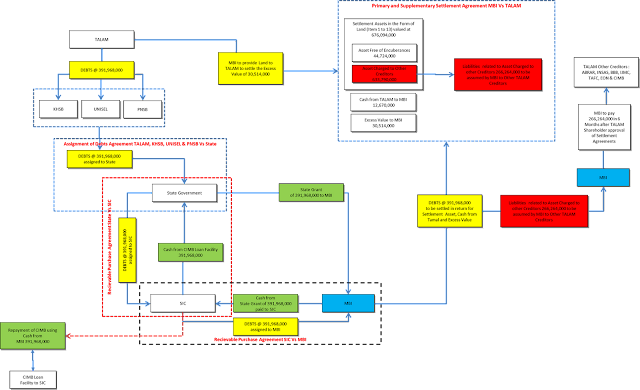 Is there a ready buyer to buy these assets in order for MBI to pay Talam Creditors in 6 Months after approval of Talam's shareholders? That is the unknown in this equation. Where they got the money from ? 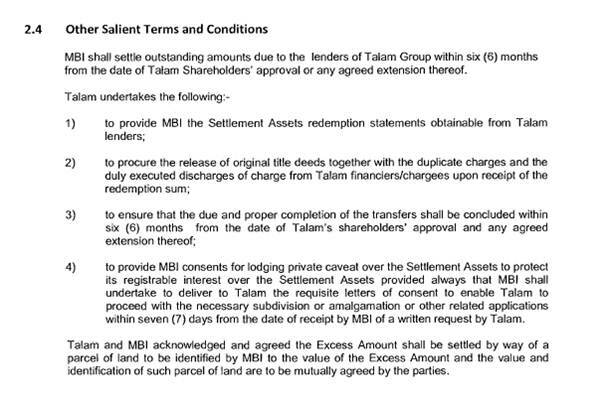 And where did MBI get the money to pay Talam if it did not liquidate the said assets? Just how the hell is that gonna keep my tap running? BTW how you all like my new avatar? ?